When Roger Federer's lunging mis-hit spun high into the air and turned into a glorious lob, Lukas Lacko must have known it was going to be one of those days when he might as well enjoy having the best view in the house. It was just too bad the Slovakian could not put his feet up and enjoy the jaw-dropping spectacle. "On certain days it goes better than others," summed up a grinning Federer, who will be seeking a 10th successive win at the All England Club when he takes on Germany's Jan-Lennard Struff next. Lacko had probably hoped he could throw some curve balls Federer's way after enjoying a run to the Eastbourne final at the weekend. Unfortunately, it was the Slovakian who was left dodging the majestic missiles that kept raining down on his half of the court. With Federer having an elegant answer to everything Lacko could throw at him, it was not until the Swiss walked off court that he was finally stumped. 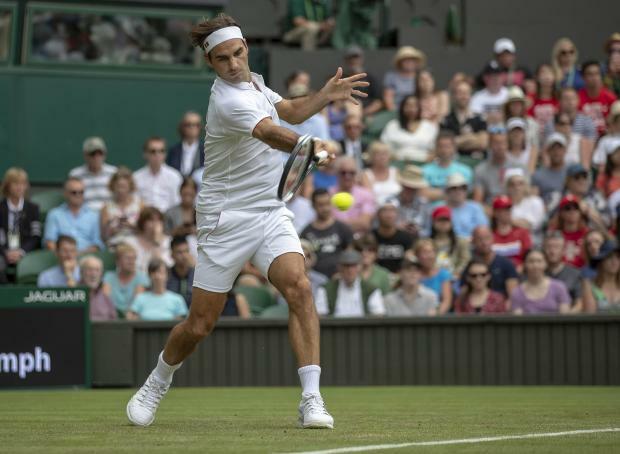 When asked if he would prefer the umpire to announce 'game Mr. Federer' - just as the women are addressed as a "Miss" or "Mrs" here - rather than just "game Federer", the man contesting his 20th consecutive Wimbledon admitted he was clueless about that particular tradition. "Oh, I didn't know that," he said sounding bemused. Within seconds he added with a smile: "I'm happy whatever they say, as long as it is 'game' and my name and not 'game' and the other (person's) name."